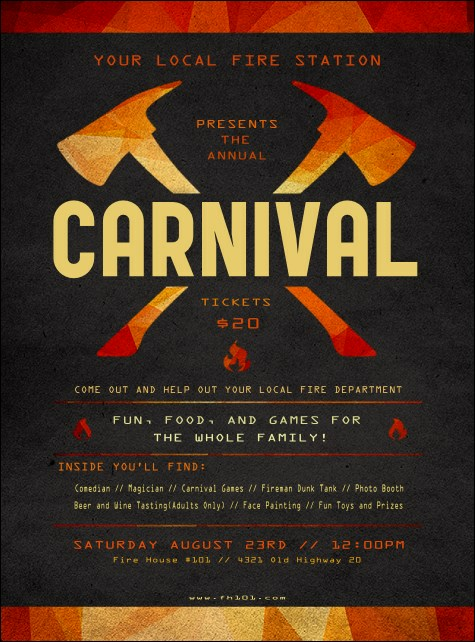 Increase support and attendance in your community when you post the Fire Department Flyer before your gathering. This hot template features bright orange flames in the background and two axes crossed in the middle. Your event details stand out with bright text on a dark grey background.